On a cold January day, it’s nice to think about the grandeur of Spring – warmer days, flowers blooming, and birds chirping. 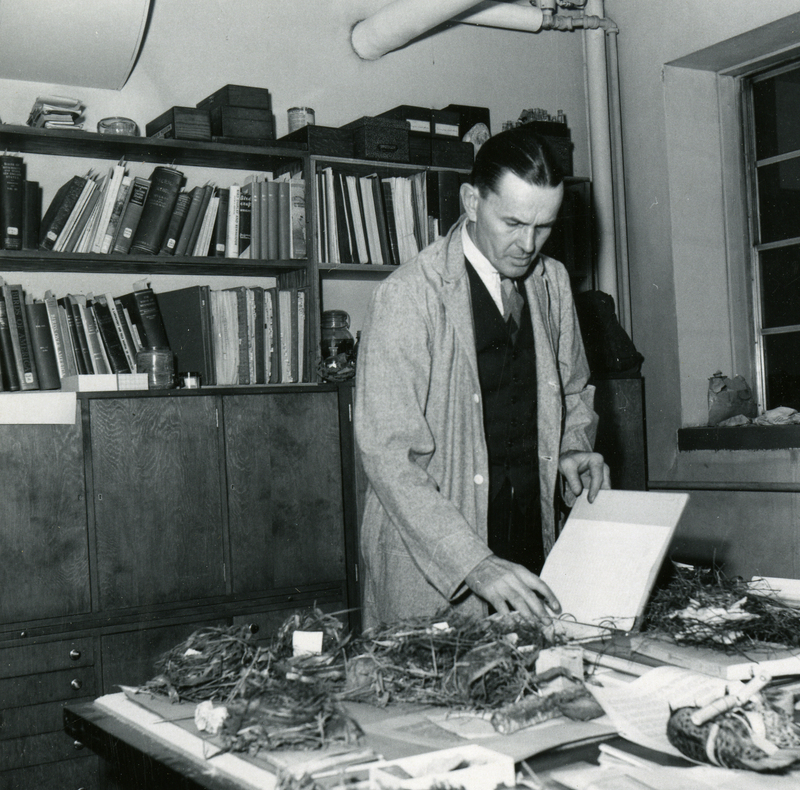 There are several places in the Archives we could look for signs of Spring, but today we remember Cranbrook Institute of Science (CIS) naturalist and ornithologist, Walter P. Nickell (1903-1973). Born in 1903, Nickell worked at CIS for 33 years. During this time he banded over 160,000 birds in the contiguous United States, Mexico, Canada, and British Honduras. He also recorded notes on more than 50,000 nests – primarily in Michigan. 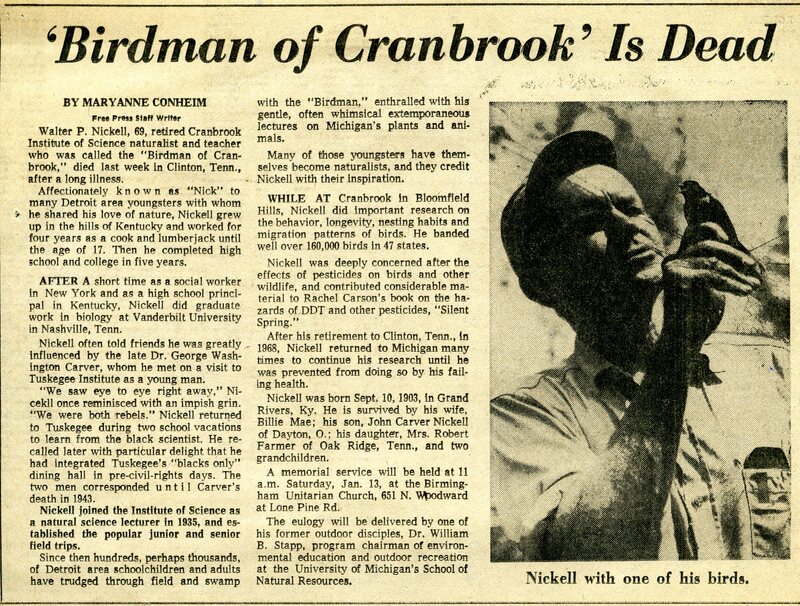 In 1964 Central Michigan University awarded Nickell an honorary Doctor of Laws degree and in 1968 Nickell was awarded Cranbrook’s Founders Medal. In addition to developing numerous exhibitions at CIS and publishing more than 130 scientific articles, Nickell is well-known for his enthusiasm for teaching. During his tenure at CIS he lectured on natural science at local schools and colleges, including the University of Michigan. He also led junior and adult groups on numerous natural science expeditions. 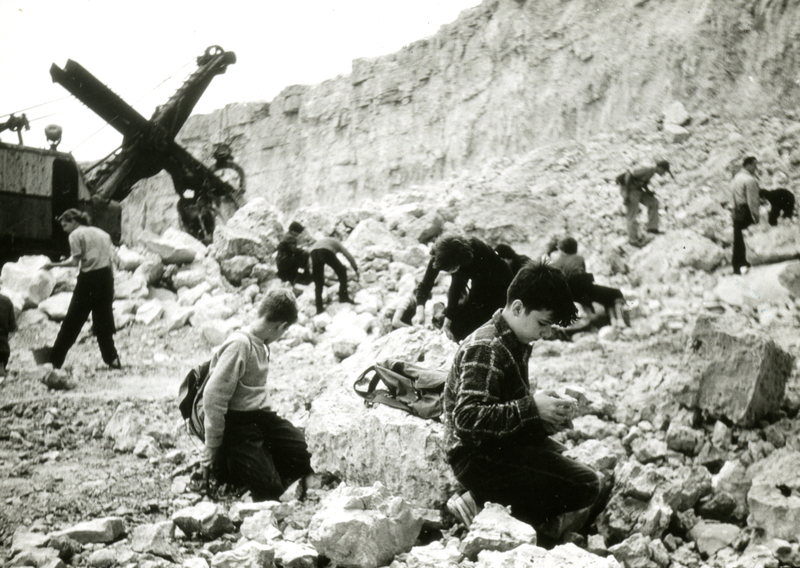 Students on a fossil exhibition, 1956. Detroit Free Press, 13 Jan 1973. Thank you for sharing this…I enjoy every one of the “visits back in time”….. through the kitchen sink!